Kerstin Kleese van Dam and Karen Schuchardt, staff members at the Department of Energy’s Pacific Northwest National Laboratory, have been invited to participate in the international Exascale I/O Interface working group. The working group, comprising both researchers and industry representatives from leading vendors such as Cray, will seek solutions that integrate actions throughout the system stack from application to hardware and reach from the HPC system to the file system. Kleese van Dam is the manager of PNNL’s Scientific Data Management group and Schuchardt is a researcher in the Laboratory’s Data Intensive Scientific Computing group. 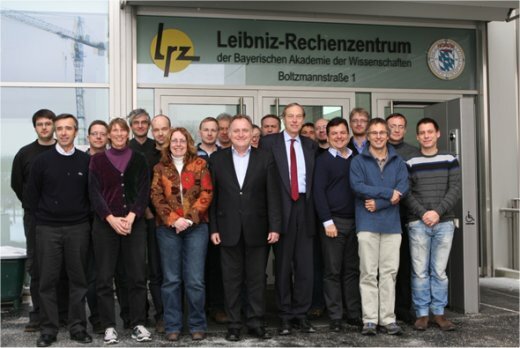 Exascale I/O Interface working group held its first workshop in Munich in February, where the discussion focused on an initial set of key system features for an effective operation of I/O systems at the exascale. The group is planning two additional information-gathering workshops later in the year, in Asia and the U.S. PNNL will help organize the U.S. workshop.